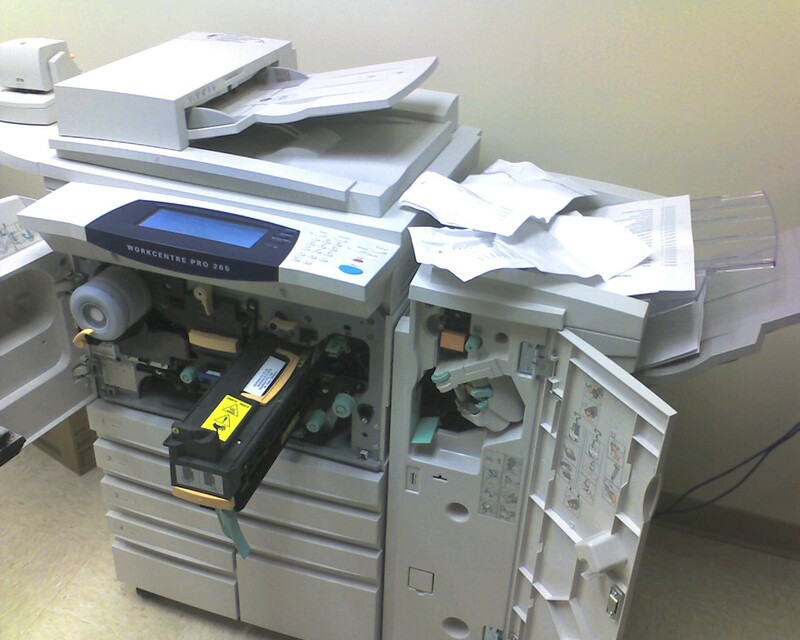 About six years ago, when I was rector of All Saints’ Church in Briarcliff Manor, New York, I wrote a Holy Week prayer titled Ode to a Copier. I like to share it this time of year in recognition of all the parish secretaries/administrators out there — the unsung heroes without whom mass liturgical hysteria would ensue. Thanks, especially, to my own parish administrator, Evelyn Czaja, who is as we speak knee deep in about twelve bulletins! I’ve learned over the years that whatever we as clergy or office staff or musicians or volunteers do or fail to get done this week, the resurrection is not dependent on us. Sometimes we all need this reminder! Blessings to all in the midst of your preparations. Well done. its hard to rhyme and not be pulled into couplet idiocy. Sincerely, the volunteer who runs off the Sunday bulletin.